In Hanging Guorui’s Stanford—Part One, we described two options for storage and exhibition for an unusually large contemporary Chinese photograph. Unfortunately, both possibilities could not work entirely for the following reasons. In the case of mounting on aluminum, the work could not be done in-house or by a local contractor. Therefore, we decided that it would be cost prohibitive to proceed. We abandoned our second option at the advice of colleagues from the de Young who had tried it out unsuccessfully on a mock-up. In the end, we devised a system that combined the benefits of both. With the help of a paper conservator from Special Collections, Stanford was flattened under blotters, plexi glass, and weights. 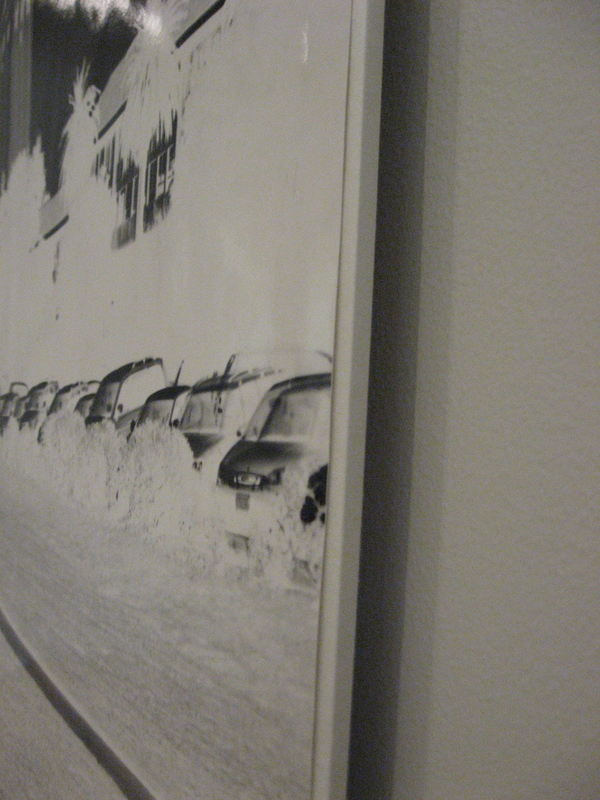 After several weeks, long hinges were attached to the edges of the photograph with wheat paste, an easily removable, acid-free adhesive. Finally, the photograph was wrapped onto a dibond panel made of aluminum and polyethylene. After a successful installation, we noticed that the gallery lighting revealed cockling and surface distortions. So once again, we consulted local specialists about other hanging options and future improvements. Suggestions included flattening the work under half-inch acrylic sheets for six months to a year and using humidity and Goretex to relax the image. The conversation also informed us of storage options. We learned that other institutions have rolled their panoramic photographs onto large diameter acid-free cardboard tubes, which reside on ethafoam yokes within acid-free corrugated cardboard boxes. This project sparked collaborations between Cantor staff and trained colleagues. In addition, the project inspired conversations amongst the curatorial staff for future collecting in the area of international contemporary art. 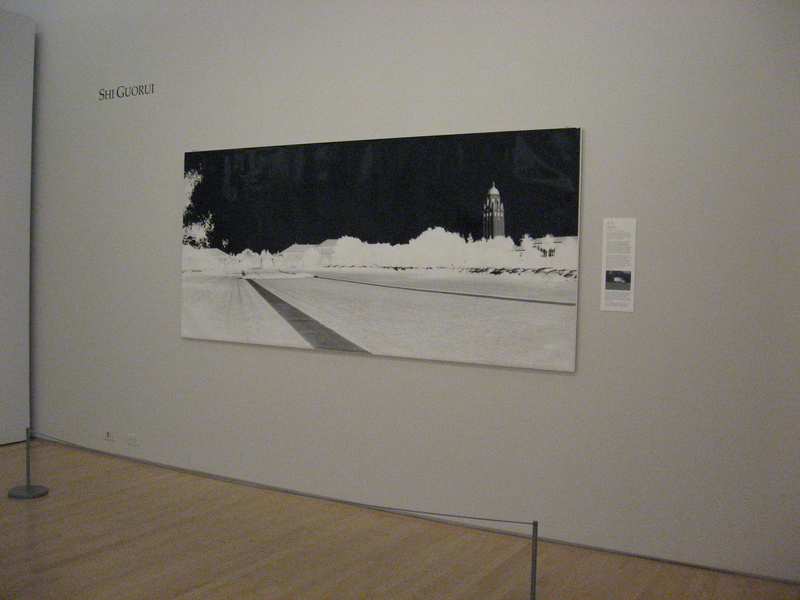 Stanford is on display in the Contemporary Gallery until May 17, 2010.